The Abita Amber Beer is a refreshing, smooth, and slightly caramel Munich style lager. One of my favorite beers to enjoy at all times. 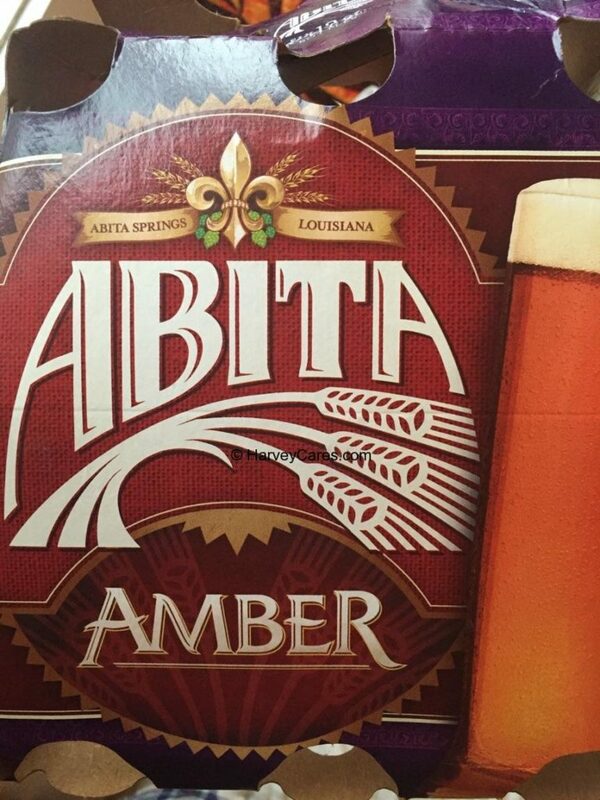 Abita Amber is brewed with caramel malts and pale malts with German Perle hops. The beer is fermented with German lager yeast. The Abita Amber beer has a unique, smooth, and malty flavor with a rich amber color. Try this amber beer with dishes flavored with cajun spices. Also great with most southern food, spicy food or tomato based dishes. You can also enjoy an Abita Amber beer almost any time for any occasion. This amber beer has a very refreshing flavor profile. Seafood and other meat dishes would go great with the amber beer’s slight caramel hints. Abita Brewing Company brews the Abita Amber beer in vibrant Louisiana. The water is collected prestine artesian water right from Abita Springs itself. Water is obviously an important ingredient in any beer. And from how smooth and tasty this beer is, it really attests to how great the water from Abita Springs is. Looking to Purchase Abita Amber Beer? The best place to buy Abita Amber beer would be at your local bar, pub, restaurant, or grocery store. You’d be surprised. I found Abita Amber at a local grocery store that is just right next to my apartment. 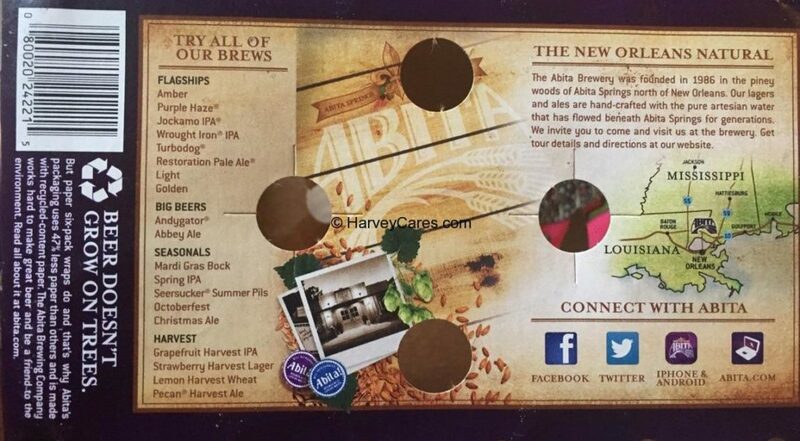 Use Abita Brewing Company’s Abita Finder. You can specify which kind of Abita beer you are looking for. Further customize your search by whether or not you’d like to find a bar, restaurant, or store that sells the Abita beer product you are seeking. In my case, I selected Abita Amber as the beer I was looking for, and clicked on grocery store as I wanted to purchase a six pack for home. The results popped up showing the nearest grocery stores that are selling and there happened to be a store right next to my apartment. Give the Abita Finder a try today to find amber beer and Abita Brewing Company’s other popular products. Back to the good stuff! 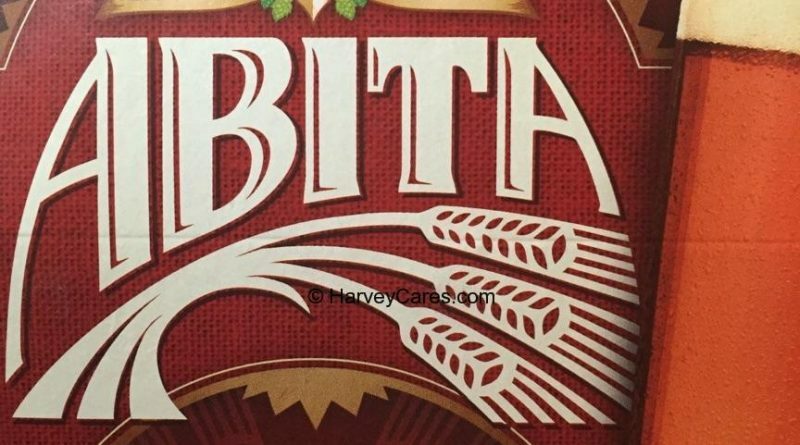 Take a look at the detailed review of Abita Amber Beer below. Item name: Abita Amber Beer. Pristine artesian water from Abita Springs, Louisiana. Alcohol by Volume (ABV): 4.5%. International Bitterness Units (IBU): 17. IBU range can be from 0 to over 120, so this is not a bitter beer. Ingredients List: Artesian water, German lager yeast, German perle hops, pale malt, caramel malt, and other ingredients. The Abita Amber Beer serving size is 1 beer. 128 calories per serving. 10 g carbohydrates. 2 gram of protein. No fat content. Abita Amber is one of the Abita Brewing Company’s first beers and remains very popular today. The brewery was founded in 1986 in the woods of Abita Springs north of New Orleans. You can visit the brewery any time and try many of their product brews. I haven’t gotten to try many of the Abita beers below but I am looking forward to trying them all one by one. Abita Amber is fermented with German lager yeast, which makes a very clean beer throughout. This amber beer is brewed with pale and caramel malt. The water used to craft Abita Amber is actually from Abita Springs located in Louisiana. This water is pristine artesian water and offers a very clean and refreshing taste. All in all, very good water to make beer. It would be best to use a tall pils, pint, or an Euro lager glass to hold this delicious beer. But you know what? I love drinking it straight from the bottle! This beer has a relatively light amber color. Have you bought the Abita Amber Beer before?